City University London is located in Islington, north London, with other campuses located around the city. The University was founded in 1894 as the Northampton Institute and was awarded full university status in 1966. It established the first aeronautical laboratory in the UK 100 years ago and now runs the world’s largest Master’s course for the air transport industry. 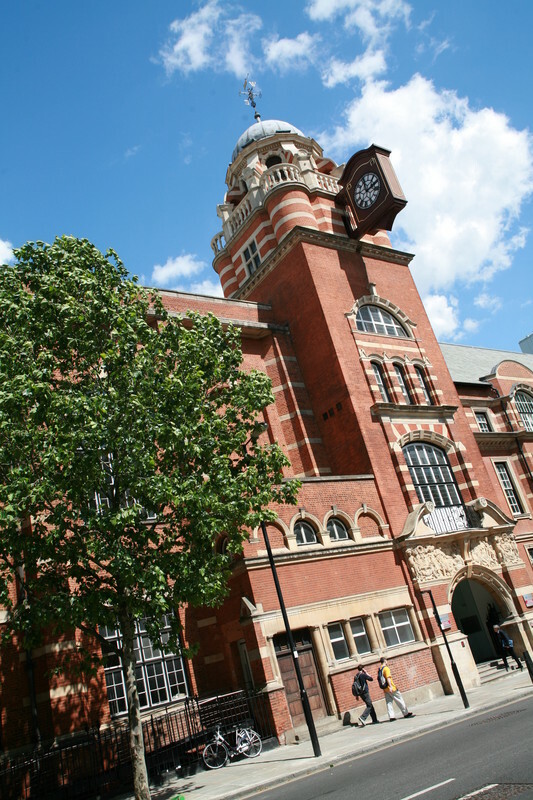 City University London has one of the highest proportions of postgraduate students of any UK university. Most of the courses at undergraduate level include a work placement, offering a fantastic opportunity for students to gain work experience while they study. City University London has 17,500 students from over 160 countries enrolled, while teaching staff are drawn from over 40 international locations. Around 30% of the University’s undergraduate and postgraduate students come from outside the EU, representing one of the highest proportions of international students in the UK. Since 1976 City has been home to a centre for the education of journalists, the highly regarded Department of Journalism. It is regarded as one of the best universities in the UK for the study of journalism as well as the nation’s largest centre for journalism education. Around 30 per cent of the university’s undergraduate and postgraduate students come from outside the EU, representing one of the highest proportions of international students in the UK. The university has dedicated International Student Advisors, based within the Student Centre, who are available to offer advice and assistance to all international students who are studying, or thinking of studying, at City University London. There are special welcome events for international students at the beginning of term as well as induction and orientation events organised by Schools and Departments. The Students’ Union has a range of international student societies which hold social events throughout the year. The University is now an established top 400 world university and seven City University London subjects also made it into the top 200 world subject ranking, with Communications and Media performing the best. In partnership with Guildhall School of Music and Drama, City University also has an impressive reputation in music. Nursing and midwifery also impress in subject rankings, with social work and social policy also producing good results. All six City University London halls of residence are within walking distance of the University, with computer and telephone points in each bedroom. Accommodation is guaranteed for first year undergraduate students, while private rented accommodation is easily found near the University and around London. The Accommodation Team also maintain an online facility to search for privately rented accommodation in London. University London’s main campus is located in Islington. It is less than 2km away from many famous London landmarks, like St. Paul’s Cathedral, The British Museum and the River Thames. There are other campuses in Holborn, Whitechapel and the Smithfield areas of the city. Connections to Heathrow, Gatwick and Stansted can also be accessed via the main train stations of Liverpool Street, King’s Cross and London Bridge, all within close distance of the City campuses and halls.